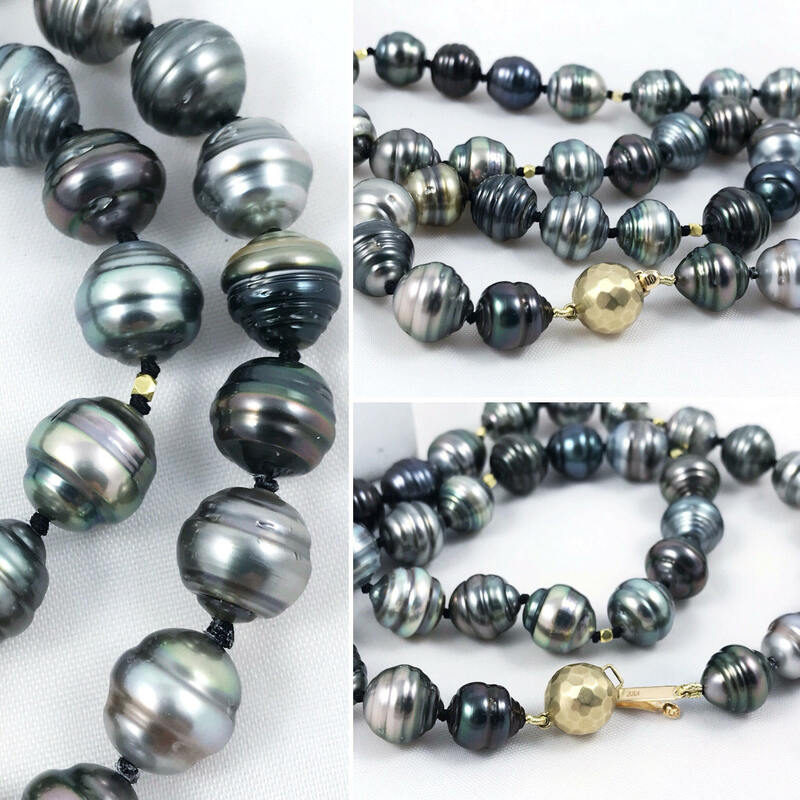 Over the course of my jewelry career, I have had the pleasure of stringing and knotting some very stunning luxury pearls for customers and jewelry stores alike. 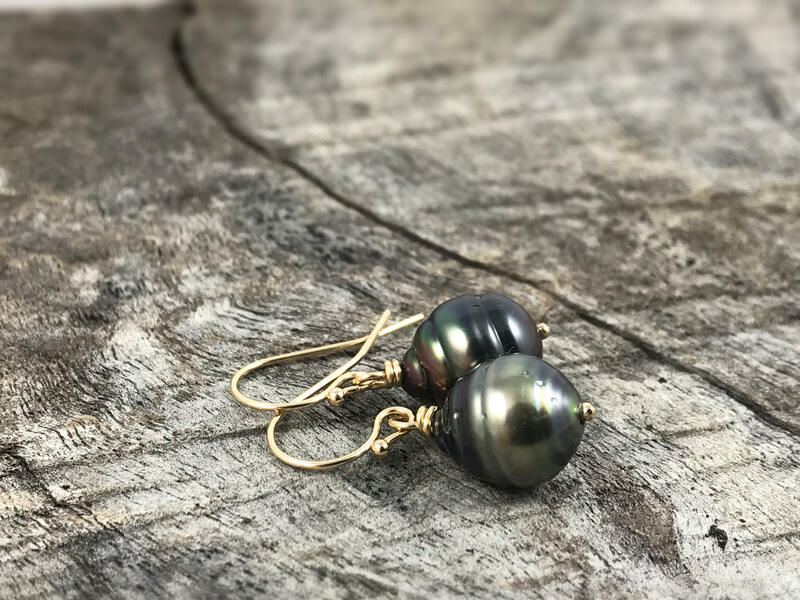 Tahitian pearls are at the top of my favorites list with their stunning natural range of colors and baroque shapes. 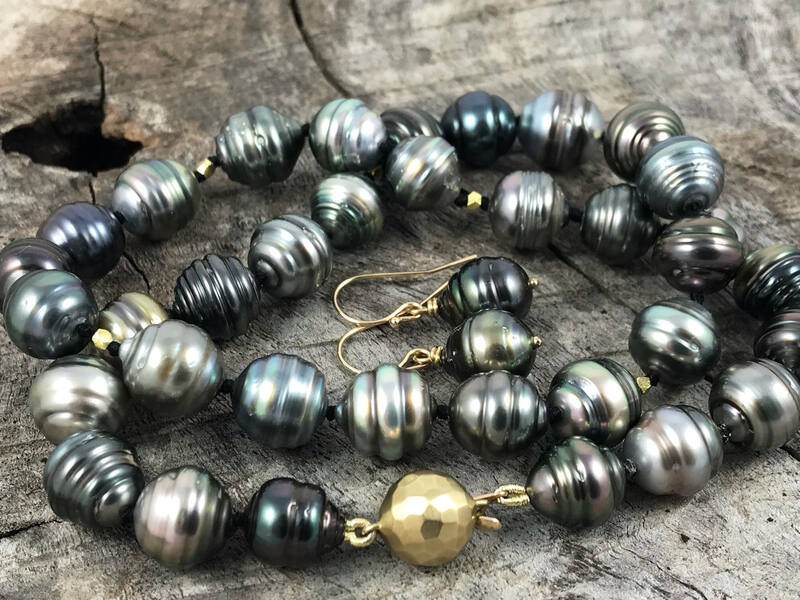 These Tahitian pearls have a stunning color range and luster, and set on black silk with gold accents, they truly captivate. 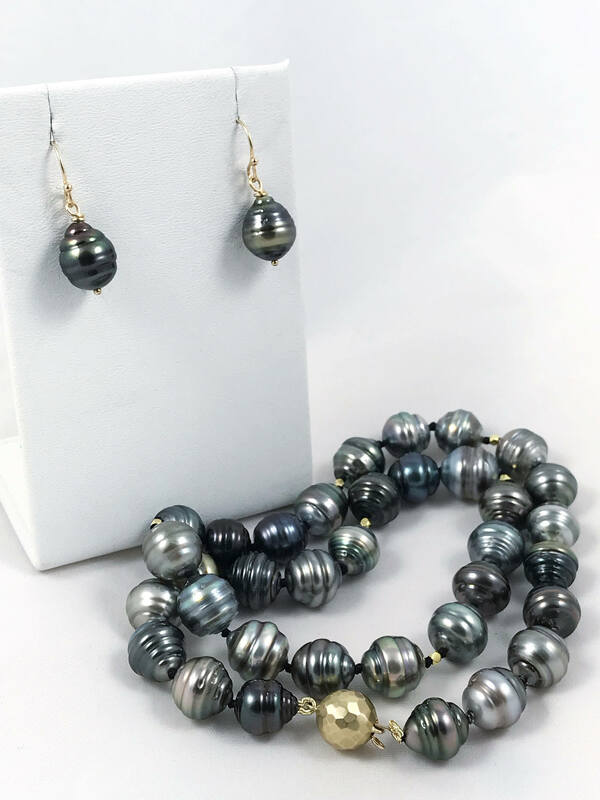 Genuine untreated/undyed saltwater baroque Tahitian pearls in tones of bronze, gold, silver, green, and grey/blue make up this set, accented with solid 14k yellow gold hammered textured clasp and solid 14k gold hexagonal accents. Knotted on black silk. This set is one of a kind, you will not see another like it. You will receive the exact necklace and earring set shown in the photos. 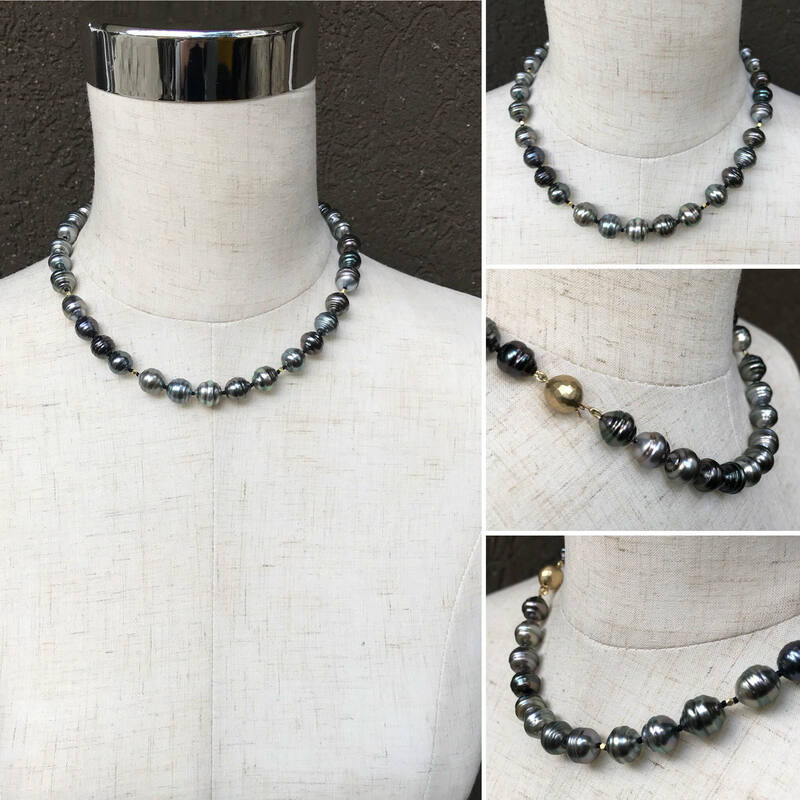 -Saltwater baroque shape Tahitian pearls averaging 10-11 mm in size. -Completely untreated and undyed. Incredible iridescent luster and color range. -Necklace is knotted on heavy gauge black silk to keep them secured. 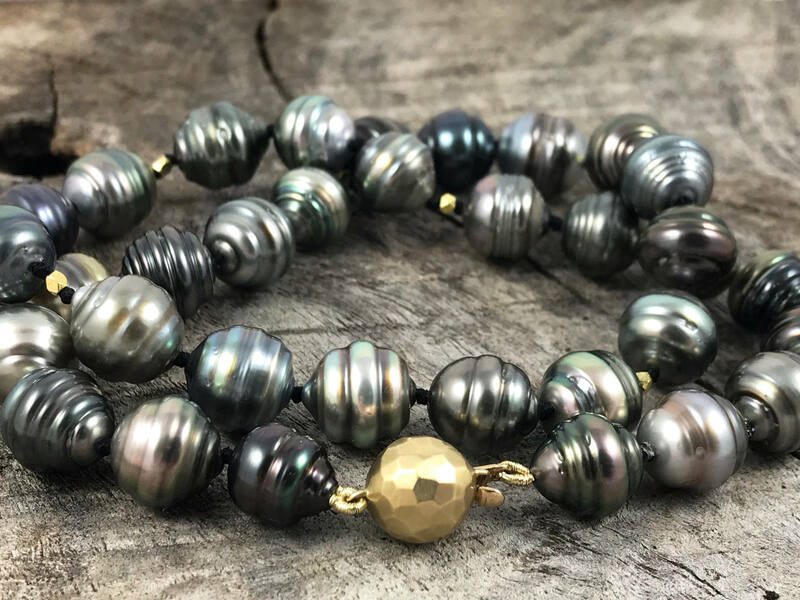 -Solid 14k gold hammered texture brushed finish security pearl clasp. -Solid 14k gold hexagonal accent beads (6 in total) add visual interest and contrast. 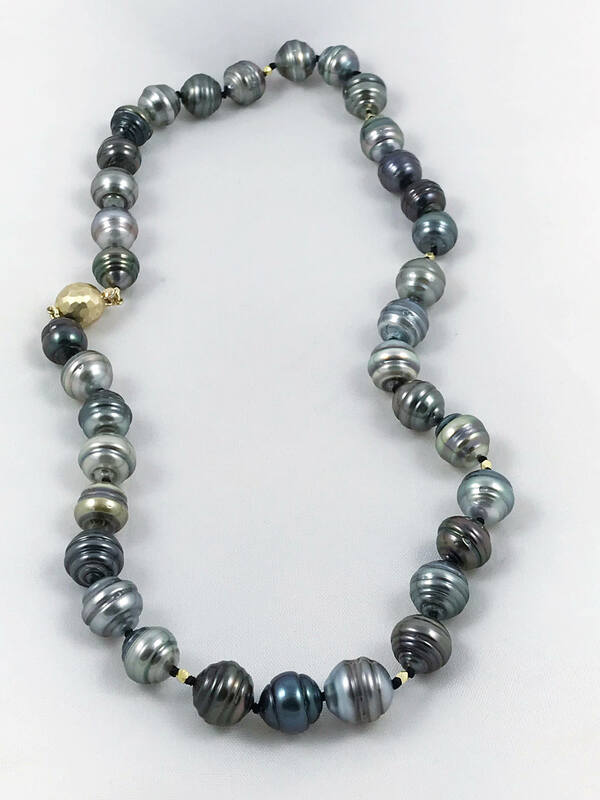 -Saltwater baroque shape Tahitian pearls 12mm length by 10mm width in size. -Well matched in size and color tone. 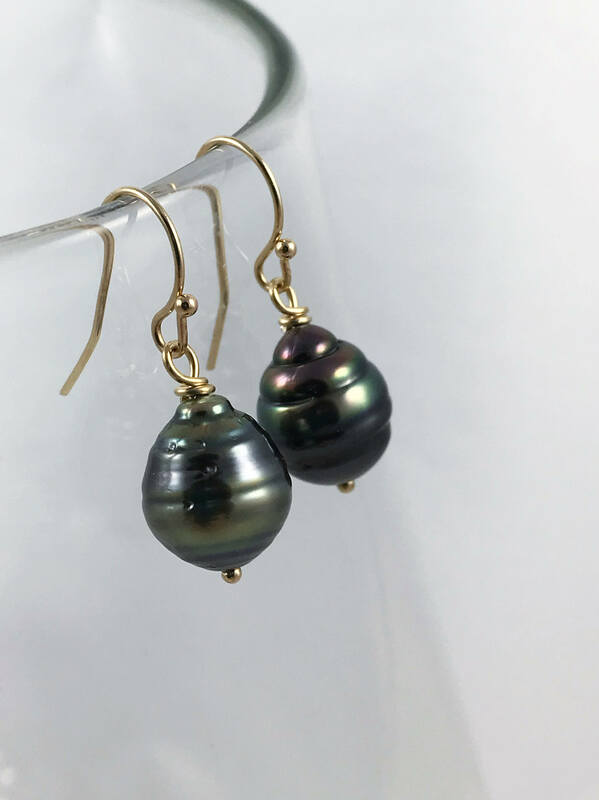 -Solid 14k gold ball rivets attach pearls to earring hooks. -Solid 14k gold earring hooks. -Total length of earrings from top of hook to bottom of design is 26mm (1"). -All of the metal is solid 14k yellow gold. 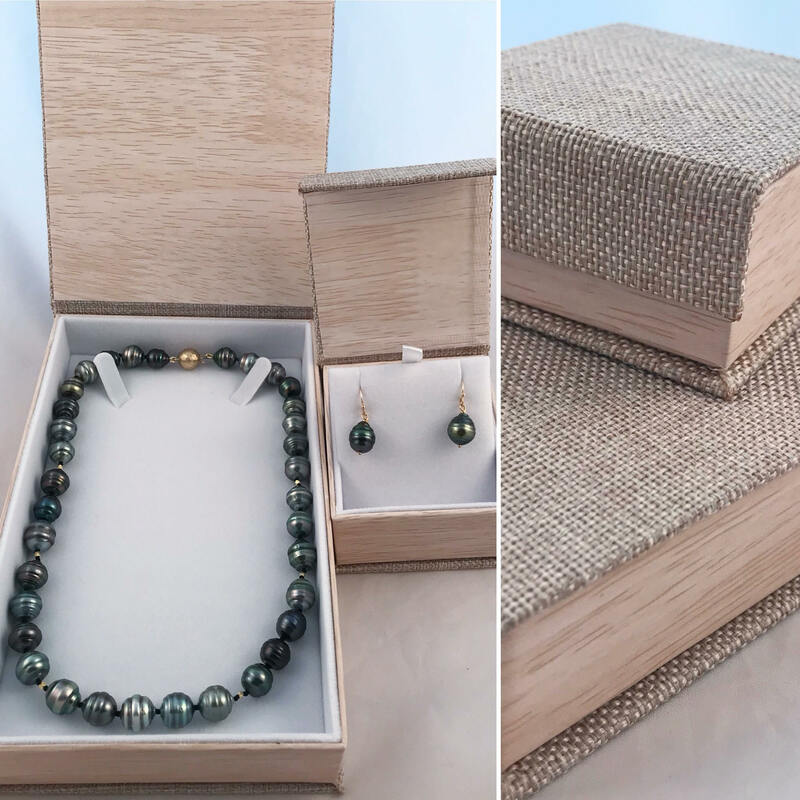 -Set will arrive to you carefully packaged in beautiful individual wood and burlap gift boxes (one for the necklace and one for the earrings) along with a signed certificate of authenticity. -Will ship insured for the full value of the set. 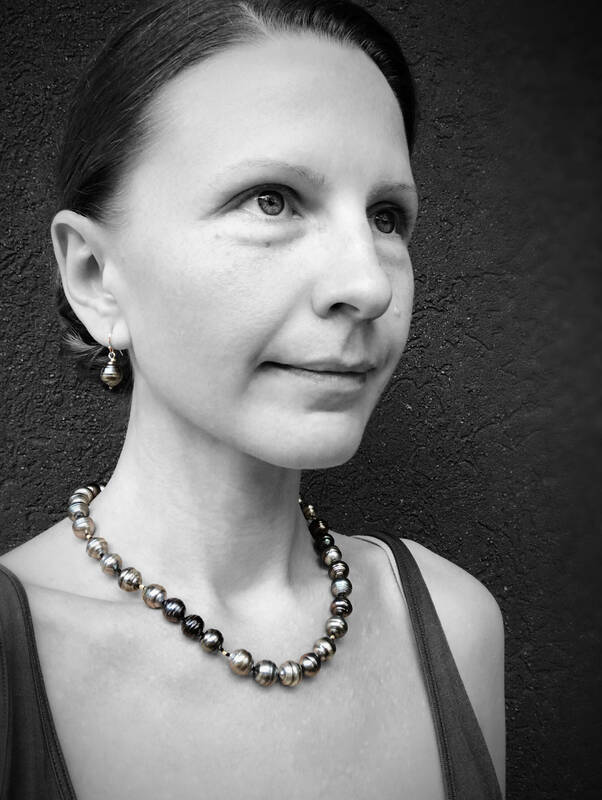 Fine pearls are an investment, and I understand it can be difficult to shop for them online. If you have any questions at all about this set, please do not hesitate to ask. I'm happy to help!